Socializing and the panorama of special holiday sweets are two of the best things about the holiday season! So it’s it doesn’t come as a surprise that an event that features both are much anticipated special occasions! Getting together to exchange homemade Christmas cookies is such a fun thing. I took 5 dozen treats (Creme de Menthe Oreo Poppers) and came home with 9 other treats, amounting to 3 dozen. Can we say sugar overload! Combine dates, nuts, milk and flavorings in the top of a double boiler over boiling water. Cook and stir occasionally until thick. Spread over crackers. Bake on cookie sheet 8 min. at 300 degrees. Let cool before serving. Preheat oven to 250 degrees. Place nuts in 13×9 inch baking pan. Bake for 5 minutes. In a 2 qt. saucepan melt butter over med. heat. Stir in corn syrup, sugar, cinnamon and vanilla. Stir over med. heat until sugar is dissolved. Add the nuts to the syrup, stirring constantly to coat evenly. Spread the nuts on a lined cookie sheet. Let sit for 5 min. Then place in oven and bake, stirring several times, for 15 min. Remove from oven and allow to cool, separating nuts as they cool. Store in tightly closed container. In large bowl with an electric mixer, beat together butter and sugar on high speed until smooth. Add egg and extracts, mix well. In another bowl, combine flour and pudding then add to the butter mixture. Shape into 1 inch balls. Place 2 inches apart on greased baking sheets. 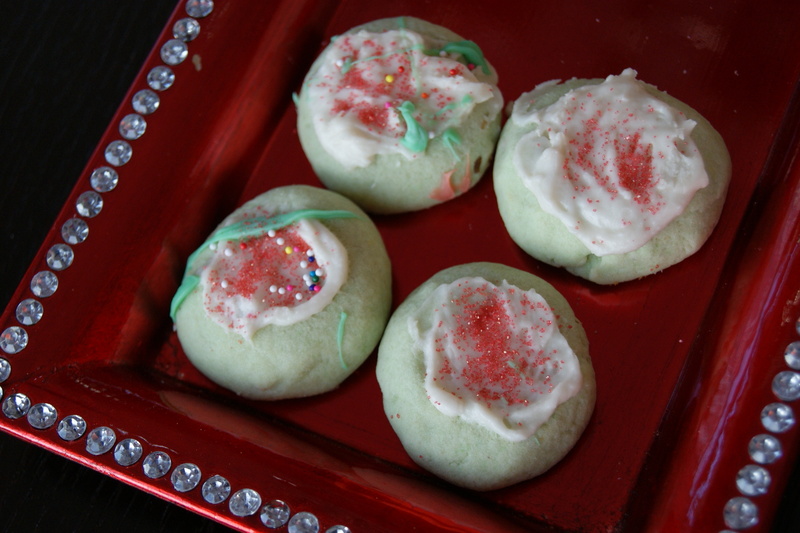 Make a thumbprint in center of each cookie and bake for 12 min. or until golden brown on the bottom. Position a wire cooling rack over a sheet of waxed paper. Remove cookies from oven and place on the cooling rack. To prepare filling, in a large bowl with an electric mixer, beat together butter and confectioners sugar on high speed until smooth, about 2 min. Stir in vanilla and milk; mix until combined until smooth. Spoon into center of cooled cookies. Leave cookies on rack to glaze. To prepare glaze, in microwave safe bowl, melt chocolate and shortening. Stir until smooth, taking care not to scorch the chocolate. Bunch cooled cookies together on a cooling rack and drizzle colored chocolate over them in a very thin stream, crossing back and forth over cookies to form chocolate lace. For simple drizzling, hold a small spoonful of chocolate about 6 inches above the rack; release a thin stream of chocolate as you move the spoon back and forth quickly over the cookies. Let chocolate set up and serve! One of the great things about a cookie exchange is walking away with everyone’s recipes too. The recipes I have listed above are those of the ladies that attended the cookie exchange. I do not have their names or the sources of their recipes. I am simply sharing with you the recipes I received at the party. Sorry that I don’t know who to give credit to. I have shown 3 of the recipes I received at the cookie exchange today. Stay tuned for more in upcoming posts! 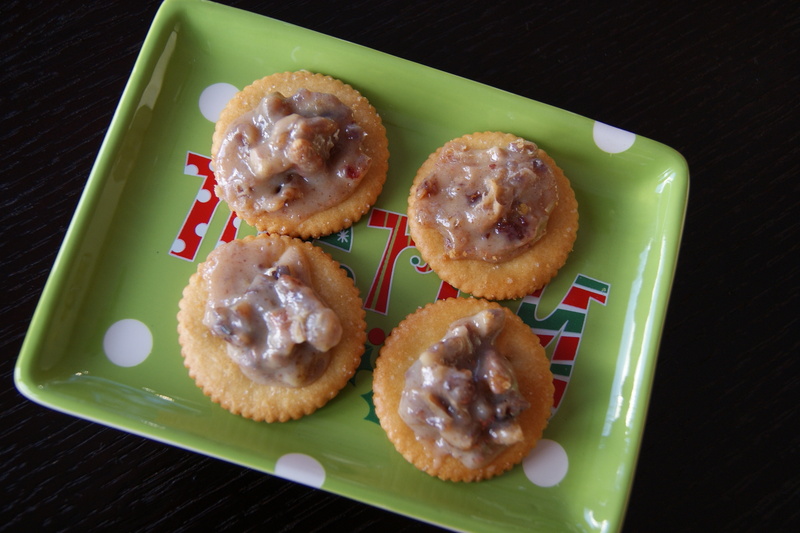 This entry was posted in Deliciousness and tagged Butter, Cookie, cookie exchange, Sugar. Bookmark the permalink. Yum! All of these look great. The ritz look wonderful… I am all about sweet and salty. 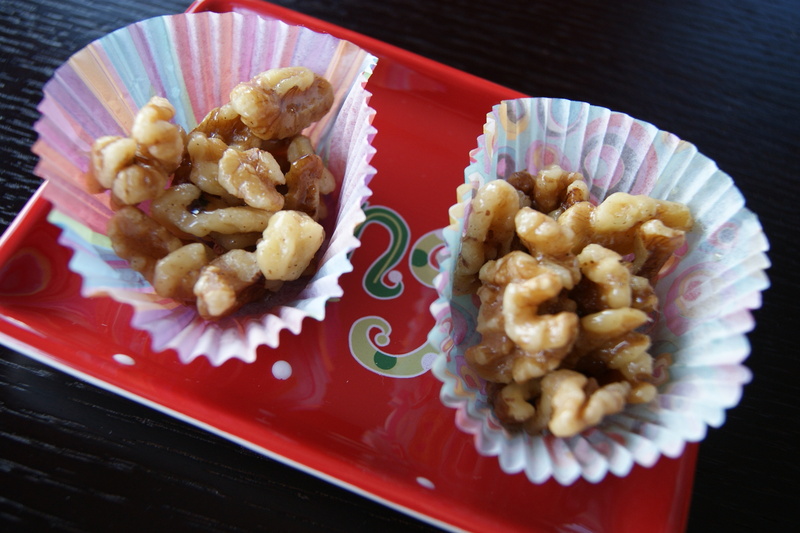 The candied nut recipe is great I have actually been looking for a good candied nut recipe so I will definitely be giving it a try. Love your blog! I am your newest follower. Why thank you so much Erica! It’s nice to meet you 🙂 Enjoy making and eating the nuts! Mmm salty and sweet what a great combination. I loveexchanges and getting enw recipes-that is part of the fun. I agree totally Hollie-it is alot of fun to see what other people come up with! Those pistachio thumbprint cookies look GREAT! My cookie exchange is tomorrow.. you got off easy with only making 5 dozen… I”m making NINE… plus 3 dozen extra for family/friends while I”m at it. Eeek! Wow, you are making tons! How long will that take you? 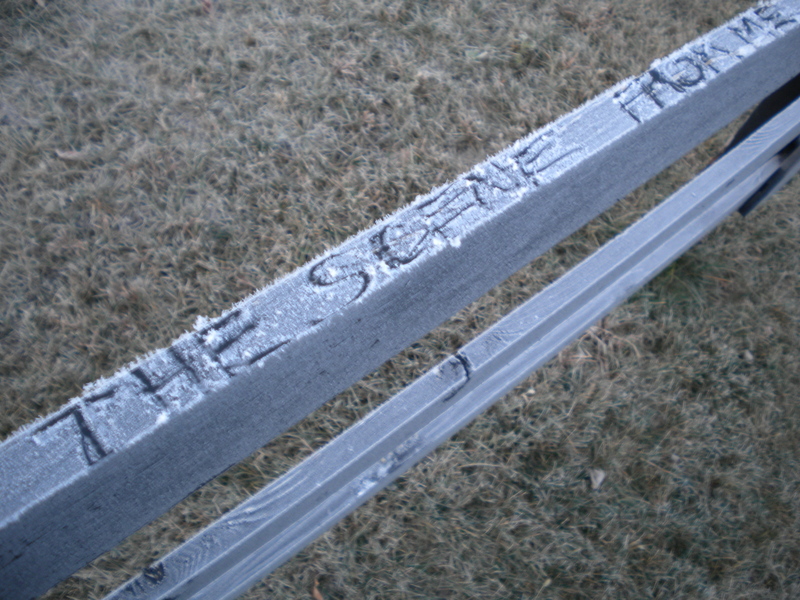 I absolutely love your blog. Sweets and socializing are definitely the best part of the season:) Awesome recipes and I can’t wait for more! P.S. crackers are my downfall too! More socializing and sweets for me this weekend as I am hosting a big holiday party here! Great idea Shanna! Maybe I’ll see that on one of your future posts! You are so productive danggg! Lucky haha, the pistachio thumb prints sound so awesome with a glass of milk right now ahhh 🙂 I’ve never been to a cookie exchange.. yet hehe. Have a great night! I hope you get to experience a cookie exchange someday Allie! It’s so much fun to come home with all those goodies! Mm, love the idea of adding pistachios to thumbprint cookies. I bet that’d go great with raspberry jam too! Yep, good idea Grace! Enjoy! I can decide which to drool over and save first! What an awesome exchange. Such lucky (and talented) bakers! It was so much fun. And the variety of types of treats is always good! It’s fun to come home with all those choices to eat! You are going to have fun bringing home all those different treats Natalie! Happy chocolate covered anything day! these cookies look FAB and beautiful!! Thank you! More to come over the next 2 days posts also! Those cookies are perfect for this coming festive season. happy Holiday to you too! Enjoy & have lots of fun.